We love a good story about when friends come together to start an idea that was imagined over a casual conversation. We have seen it before with the likes of Cut Golf and how an affordable, high-quality golf ball for the people grew into a robust direct to consumer business. 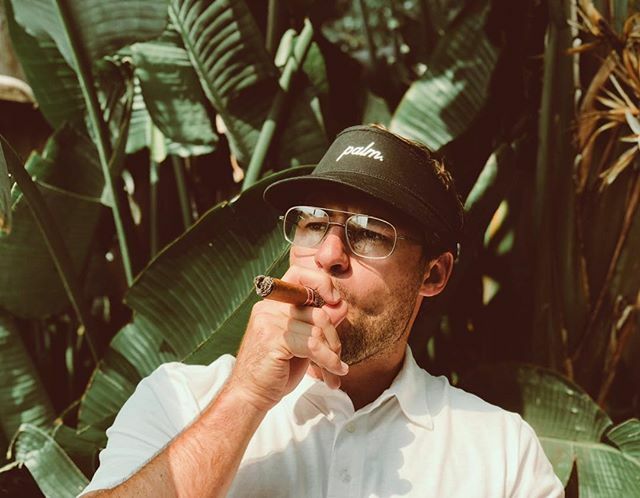 Now we are seeing it with a full line of creative golf gloves with the guys over at Palm Golf Co.
We had the opportunity to sit down with Joe, one of the founders at Palm Golf, for this week’s feature. These guys are working hard to revolutionize the golf glove game and build a brand around their passions in life! And we think a lot of you will be able to relate to their story. Sure, thanks for having us. Well, all three of us migrated from the tri-state area after college. Since living in California, we’ve all gotten either married or engaged. We’ve become a really close-knit group of friends. All of us have a competitive mindset when it comes to sports. Whether it’s football, basketball, wrestling, baseball, volleyball… we’ve all just been very competitive throughout college. Golf has become our latest passion, and in the past three years, it’s become an addiction. 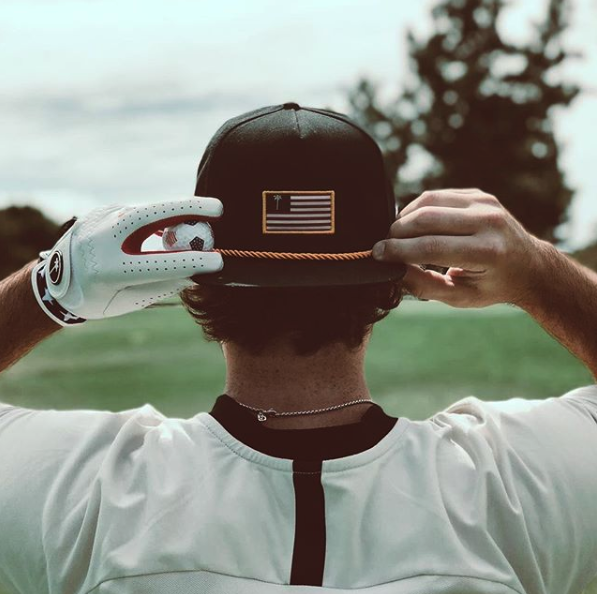 Our love for the game has married our sense of style off the course and on the course. That’s great you’ve all stayed so close. So, let’s dive a little deeper into golf. When did you all first start playing? It’s been a rather new endeavor for all of us. Being on the west coast has been a great benefit and opened the ability to finally start playing throughout the year. We were driven to the game for the social aspect, but we’ve stayed and continued playing thanks to the competitive nature… and our inability to master it. Other sports came a little easier for us, I’d say. Golf is a challenge both physically and mentally. Throwing around a couple bucks in wagers or forcing each other to chug some beers is always a nice incentive to keep yourself mentally sharp out there. We think we’re a pretty strong balance of a good time and competition. The golf course is a perfect platform for both. Yup, college buddies on the golf course almost always involves beer. So what made you guys want to start Palm Golf Co.
Off the course, we’re pretty casual guys. On the course, we’re not much different. We laugh, play music, take a breakfast ball… and a lunch ball… and a dinner ball. [Laughter] We will make you shotgun a beer if you miss the green on a par 3. We wanted to start the company because we embrace the surf style that is typical in Southern California. Not just how we dress, but how we act. It’s a loose casual feel out on the course for us. 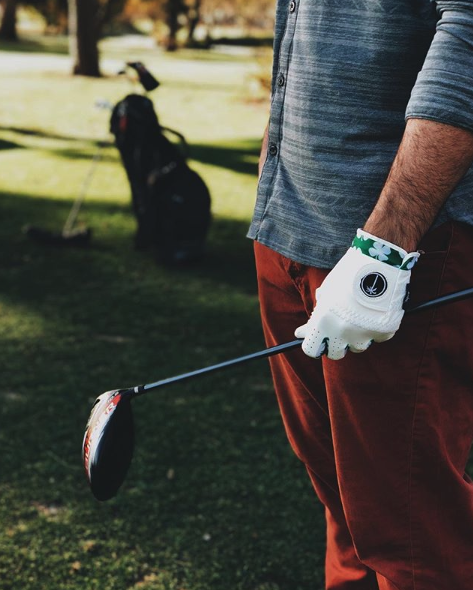 We looked at all of the products we use on a regular basis and wondered why something like a golf glove is just plain white and completely lacking style or identity. Why not dress it up and merge style with practicality? That thought drove us to start making gloves for ourselves – that action drove us to start a business. Sometimes the best ideas are in plain sight… Tell me more about the name “Palm Golf” and how you guys arrived at it. Think about Southern California… shut your eyes and say the first tree that comes to your mind. It seemed like a no-brainer. It’s simple, it’s identifiable, and it is a pretty good pun considering where the glove covers. 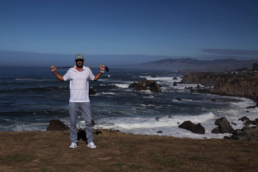 Embracing the surf culture, expressing and representing the area that we now love to be part of and call home was a great inspiration for the naming. You’re right, it just seems to fit. Have any of you engaged in any other business ventures prior to starting Palm? One of our owners had a prior venture called “Brushwood.” It’s a sunglasses company. Cool – so back to Palm Golf. Have any doors opened for you as a result of starting the company? To this point, we’ve taken a very organic approach to getting our company out in the market. Having conversations with local shops, some local influencers, and just having the conversations about our products with other companies has been a very awesome experience. We’ve had reach as far as Australia and even Singapore for sales. It’s pretty incredible to think that we are carving out a piece of the golf market that we love and care so much about. That’s great. So what’s your vision for Palm going forward? We want to make a top-selling golf glove. We want golfers of all varieties to find a product they love – with the Palm logo on it. It’s a tall order, but we want to be there with the top brands in the business, and we want to bring an attitude and style that sticks and impacts the game and its players. You’re on your way… What have you learned most from starting this venture? To care about the people that support you. It is absolutely critical that we approach everyone that cares enough to support our products as if they are family. Awesome. So on that, how do you engage with your community? Again, we’ve taken a very organic approach so far. We were funded on Kickstarter initially, but we’ve made a huge effort to put our name out in the Southern California area. 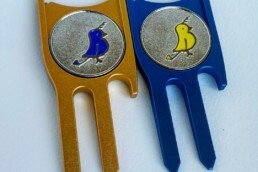 We’ll be sponsoring a local golf tournament, but for now, we are constantly talking to golfers on and off the course. We have a decent presence on Instagram where we constantly do giveaways. Okay, so now we’re going to jump into some rapid-fire questions. Ready? Who or what has been your greatest inspiration? Any day of the week that we can get out there together, we will. We like early mornings or a nice twilight round. Probably Bill Murray. Feel like anyone that dresses wilder than we do would be a good time for a couple hours. Good choice. Favorite course beverage? There’s three of us, so we’ll go with a few answers. Bloody Mary, Transfusion or a couple of beers. Shout out to Four Sons Brewing! Besides Palm products, what golf-related purchase have you made recently that you’re most excited about? As entrepreneurs, what tools – mental of physical – do you use to get focused or maintain focus? Hard work and dedication. The hard work puts you where the good luck can find you. How do you structure the first hour or two of your day? What about the evening? Start in the morning by answering emails, preparing orders, and reaching out to new clients. By the afternoons, we recap our day’s events and outline a plan for the next day. We wind down by playing twilight rounds, skating, or catching the evening swell if the wind is down and the tide is right. Awesome, thanks a lot for your time today!